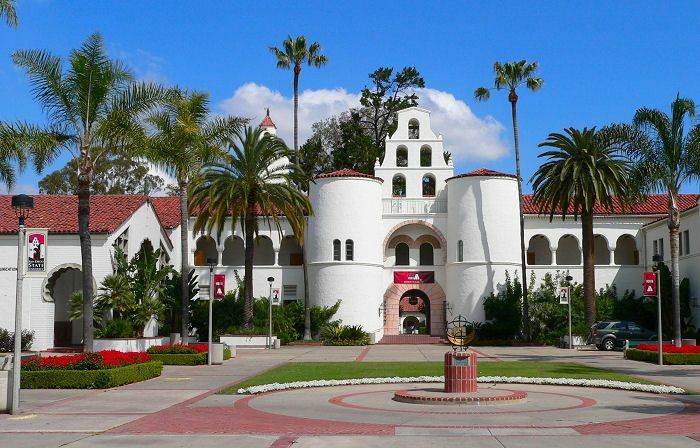 San Diego State University (SDSU) is a public university established in San Diego, California and is the largest and oldest higher education institution in San Diego County and is the third-oldest university in the 23-member California State University. 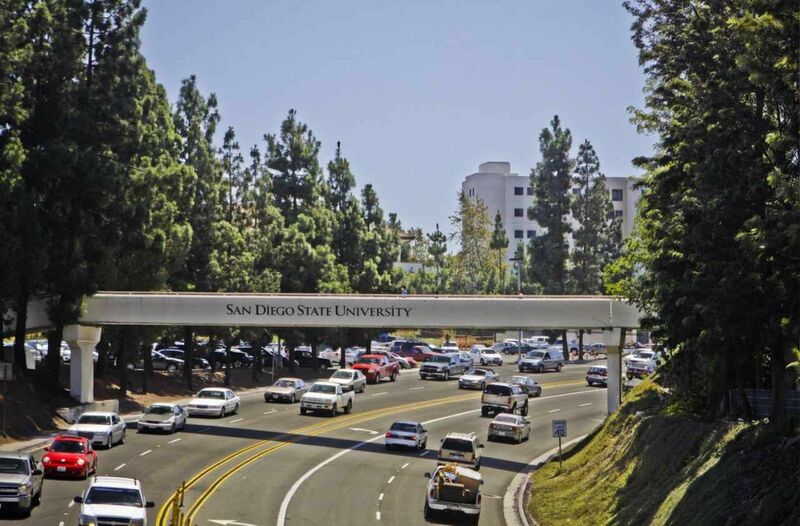 SDSU has 8 colleges: College of Arts and Letters, College of Education, College of Engineering, College of Health and Human Services, College of Professional Studies and Fine Arts, College of Sciences, College of Business, Weber Honors College. 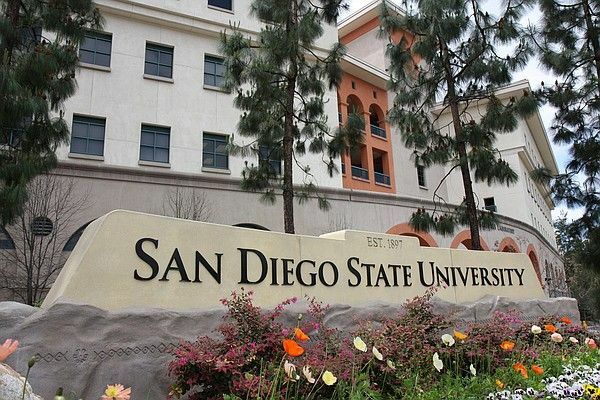 The most popular majors at San Diego State University include: Business, Management, Marketing, and Related Support Services, Social Sciences, Health Professions and Related Programs, Psychology and Engineering. The University has over 160 undergraduate and graduate majors and minors. 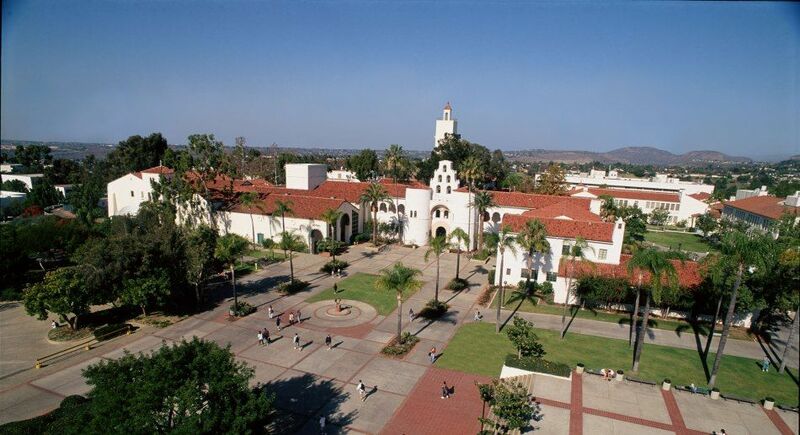 SDSU has over 34,000 students and within it over 29,000 of them are studying in undergraduate level. The university has a tight student to faculty ratio of 28:1. The university’s acceptance rate is 34%, and the percentage of students granted with financial aid is 66%. The Carnegie Foundation has designated San Diego State University as a "Doctoral University" with "Higher Research Activity”. First year of courses in the major teaches you the fundamentals of programming. In the second year, you will begin to take more specialized courses, learning about how computers function, as well as advanced and efficient ways of organizing information. As you move into the upper division courses, you will learn several different computer languages, as well as elements of circuit design and how operating systems such as Windows and UNIX function. You will also have the opportunity to take courses in elective areas such as software engineering, robotics, and artificial intelligence. Computer Scientist, Businesses, Government agencies, Research foundations, and Universities, Computer Hardware Designing and Manufacturing Companies. Industrial/organizational (I/O) psychology is the scientific study of the workplace. Using psychological theory and methodology, I/O psychologists contribute to evidence based practice designed to improve understanding and management of human resources and organizational behavior. Business, such as management, public relations, personnel and staff training; Agencies responsible for mental health service delivery in clinics, hospitals and special schools; Teaching in childcare facilities, preschools, elementary and secondary schools; Research, administering psychological tests, conducting surveys, program evaluations and basic study. Mechanical Engineering program is to prepare the graduates to apply basic and advanced engineering knowledge and skills to the design, analysis and research of engineering systems and to prepare them to compete successfully in today's job market and for lifelong learning. Bachelor of Science (B.S.) degree in Chemistry, with the certificate of the American Chemical Society, is the core curriculum. It is designed to prepare the student for the broadest range of opportunities in employment or graduate studies. A modification of the B.S. degree leads to an Emphasis in Biochemistry, which is often selected by students preparing for pharmaceutical or medical careers, as well as aspiring biochemists. Civil engineering major prepares students to design and supervise the construction of buildings, dams, roads, harbors, airports, tunnels, and bridges. It also provides training in the planning and construction of the complex systems that supply clean water to cities, remove sewage, control floods, and perform other functions which ensure continued health and safety. The annual cost of living at San Diego State University is $16735 approx.